These cupcakes are full of cherry flavor! 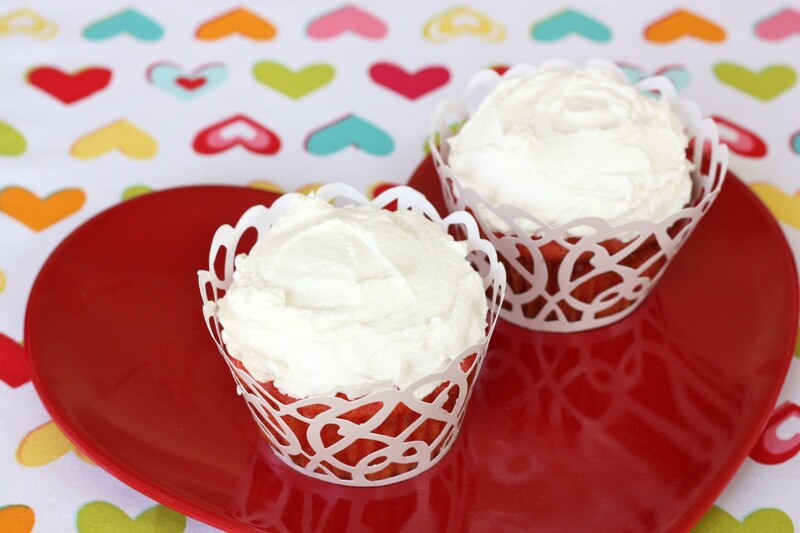 Sprinkle a few white chocolate chips on the frosting and you will have the perfect Valentine’s treat for a classroom party. 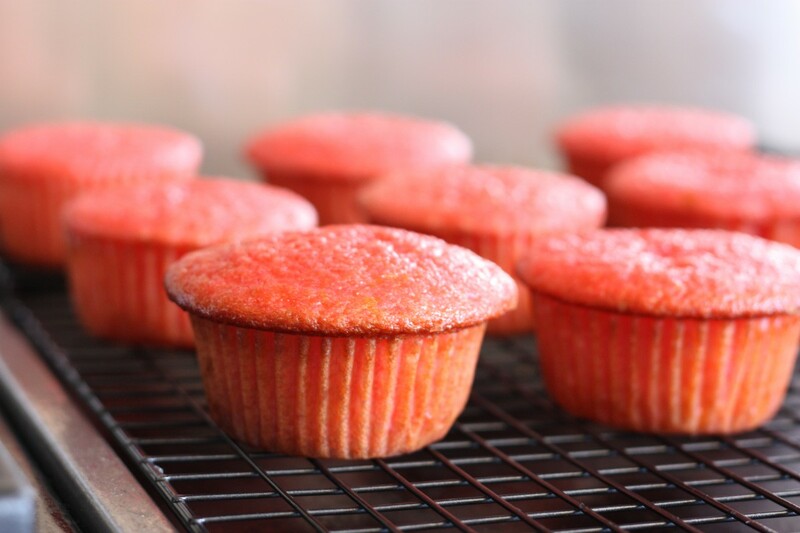 The cherry Jell-O in this recipe dresses up these Amish Friendship Bread Cupcakes with a bright, cheery color with a sugary, sweet crunch. The cherry Jell-O in this recipe dresses up these Amish Friendship Bread Cupcakes Jell-O Cupcakes with a bright, cheery color with a sugary, sweet crunch. Line cupcake tins with paper cups or grease wells and dust with sugar. Pour the batter evenly into cupcake wells. Bake for 20-25 minutes, or until a toothpick inserted in the center of the loaf comes out clean. Top cooled cupcakes with a fluffy mound of buttercream frosting. Hi Mom! So happy you found our cherry treats! The recipe should be written to include cherry Jell-o. We don’t think there’s such a thing as “instant” jello, so please use regular Jell-o or gelatin. Hope you enjoy it! These are wonderful! I love them. I used my substitutes for the healthy way and it was great! Thank you! I am so enjoying the recipes you share here & will be very busy trying them out on my co-workers. I have enjoyed the novel & hope many more take the time to read it. Have read the book months ago-wonderful read. How can the recipe call for either 1 or 2 boxes of Jell-o? OH MY GOODNESS!!! My husband and I made thee this weekend and I have to say they were a HUGE hit!!! I absolutely LOVED them! They have become my new favorites and we will definitely be making them again! My husband and I are enjoying baking together and it has brought us closer. I can’t wait for our son to be old enough to help us too. But he sure loves it when Mommy & Daddy bake!!! 😉 Thanks agian to all who contribute these awesome recipes. I’ve never baked anything from scratch before, but have to say, I will NEVER use a boxed cake again! And, it’s so not as hard as I thought it would be! Thanks for the great family memories we are making!!! I made these with lemon jello instead of cherry because I’m not a big cherry fan. They were delicious and I plan to try other flavors as well.